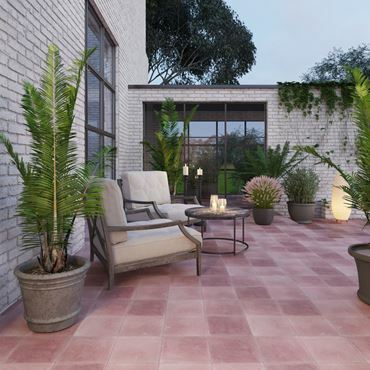 Rosewood is known for its rich, exotic beauty, and these handmade encaustic cement tiles reflect that in their deep red colour. Each tile is individually hand-crafted, and the profound shade of dark red will never wear off due to the thickness of the colour layer. Furthermore, the different shade gradients and slight variations of the tone, create a warm, welcoming effect, and these encaustic tiles are full of charm, personality and character.